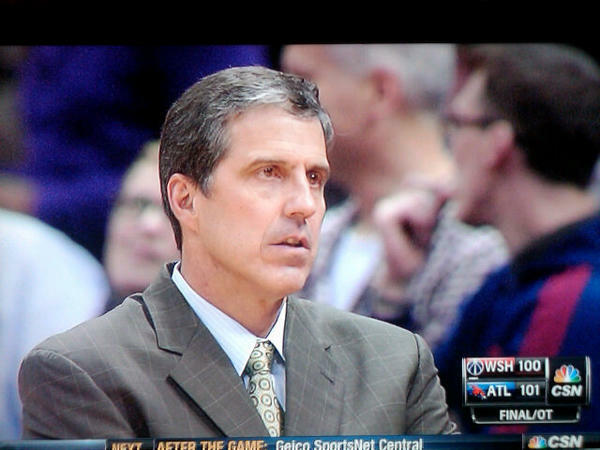 Randy Wittman is a man of many facial expressions. There’s little ambiguity to how the Wizards coach is feeling about a certain play during games. His eyes are often a dead giveaway to his mood. For some Wizards fans, the first sign of these animated glares began when Wittman was an assistant for Flip Saunders. JaVale McGee was a common recipient of Wittman’s stare-downs after “Pierre” would partake in one of his frequent mental lapses. After Flip’s dismissal and Wittman’s ascension to the head gig, his variety of looks became more noticeable due to extra camera time. 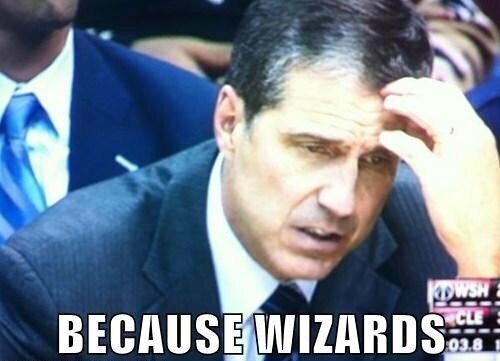 Screen shots of Wittman’s expressions started a popping on social media. Twitter user @recordsANDradio has a whole gallery, and our friends Wizznutzz can barely hold back their joy at sharing in the fun. Wittman’s facial expressions have taken on another life on Twitter, with the popular hashtag, #WittmanFace, devoted to saved screen shots of his exasperated and helpless looks after bad shots, unfavorable calls or painstaking defeats. This past media day was as good a time as ever to ask various Wizards about their coach’s online facial fame and what it’s like being on the receiving end of a #WittmanFace. The players’ responses varied, but most immediately reacted to the name, because they know. “He gives you this death stare when you make a mistake,” said Bradley Beal. “It looks like you did the worst thing in the world, like he is ready to rip your neck off or something.” Sounds like Beal is describing a “Walking Dead” zombie. Coach Randy is a Walker?!?!? Trevor Booker couldn’t think of any Wittman faces in particular, but conceded that Kevin Seraphin is on the receiving end of many of them. Propped up by crutches, Chris Singleton went right into several impersonations of his favorite faces of Wittman. The ‘What is he doing?’ face and the ‘Did he really just do that?’ were two of his favorites. “I just like his stare, when he opens his mouth,” laughed Singleton “I think it is pretty funny.” We do, too. Below is the Wizards media day video run down … well, at least the portions that were all about the #WittmanFace.